This 1955 Austin Healey 100 BN1 is an original UK RHD car, built on 11th January 1955 and delivered to Car Mart Limited of London. 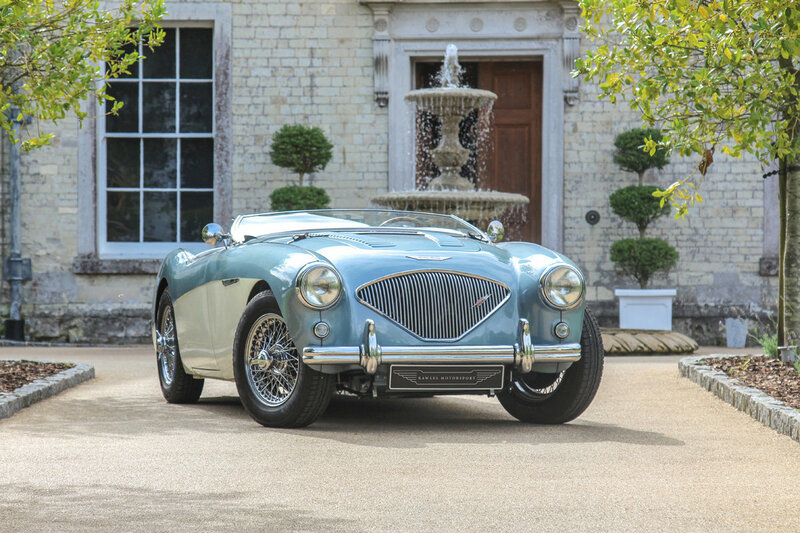 Utterly complete and original to this day, the car has been in dry storage for 35 years and owned by very notable figures in the worldwide Healey community and concours scene. All body panels are original with boot, bonnet and valance factory stamped numbers present, all cockpit trim numbers match, all original instruments are present and the engine number is a factory stamping. All critical components are present. 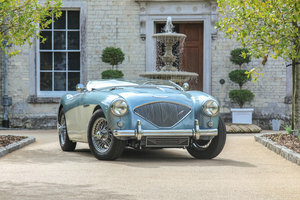 One of the last surviving RHD Healey 100s, this a rare opportunity to build a car to your exacting specification either concours correct or highly upgraded and to your colour choice with Rawles Motorsport. Available with rare and desirable BN2 4-speed or with 3-speed. Please call 01420 23212 or email [email protected] to arrange a viewing and discuss your specification or to receive our ‘Austin Healey Restoration and Design Manual’ detailing all available paint and trim specifications and upgrades. Photo is of a similar specification car. For sale to be restored by Rawles Motorsport. 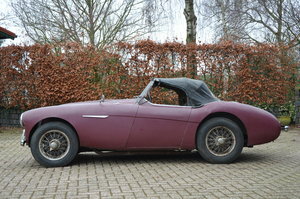 This is en axcellent Austin Healey 100 (BN1). Completely restored. Engine rebuilt to LeMans spec. incl. cold-air box and the larger carbs. Welsh exhaust. Front disc brakes and split brake system. Nicely documented.